Premier May warns Dissidents in their Party for ‘no deal Brexit’. 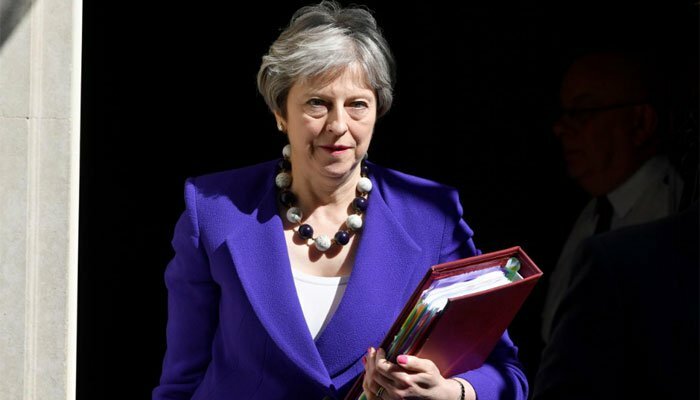 British Prime Minister Theresa May has warned her fellow party members that the alternative to her Brexit plans is a British exit without appointments. The departure of the United Kingdom (UK) from the EU must take place on 29 March 2019, but there is no exit agreement with the European bloc yet. An influential group of dissidents from the Conservative Party has warned to fight May in the House of Commons while attempting to make agreements with the EU. It is still to know whether the Prime Minister can recruit the 320 votes she needs to get her plans to make it happen. “In that case, the alternative is that there is no appointment,” May said in an interview. but as a former member no longer has any say. The prime minister does require such a trade agreement with the EU. It is not the first time that May conflicts with the so-called Brexiteers. Earlier this year Foreign Minister Boris Johnson and Brexit Minister David Davis resigned because they differed with May’s Brexit plans. The border between Ireland and Northern Ireland remains the main obstacle to be taken by the negotiators. Both areas see a hard limit, with strict controls, not sitting, but the EU is reluctant to create an exceptional position for the UK. May travels later in the week to Strasbourg, where a Brexit meeting of European leaders takes place on Thursday. It is expected that the British Prime Minister will lobby her colleagues to reach an agreement. According to British media, EU chief negotiator Michael Barnier is working on a proposal to use technology to limit border controls. Companies might register as ‘trusted’, after which their shipments can be followed with a system that uses barcodes. At the end of September, the Conservative Party of May meets for the annual party conference. After that, various proposals for post-Brexit relations go to European leaders. At the EU summit on 18 October, there should be a Brexit deal. The British Brexit minister, Dominic Raab, stated at the end of July that he is confident that the appointment will be there. EU chief negotiator Barnier also declared he anticipated a deal in early November. Austrian chancellor Sebastian Kurz mentioned Monday that the European partners of the UK should do everything to prevent a ‘hard’ Brexit.